The "home" is a quintessentially quotidian topic, yet one at the center of global concerns: Consumption habits, aesthetic preferences, international trade, and state authority all influence the domestic sphere. For middle-class residents of late-nineteenth- and early-twentieth-century Beirut, these debates took on critical importance. As Beirut was reshaped into a modern city, legal codes and urban projects pressed at the home from without, and imported commodities and new consumption habits transformed it from within. 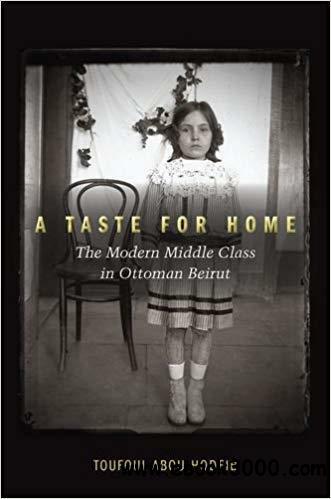 Drawing from rich archives in Arabic, Ottoman, French, and English-from advertisements and catalogues to previously unstudied government documents-A Taste for Home places the middle-class home at the intersection of local and global transformations. Middle-class domesticity took form between changing urbanity, politicization of domesticity, and changing consumption patterns. Transcending class-based aesthetic theories and static notions of "Westernization" alike, this book illuminates the self-representations and the material realities of an emerging middle class. Toufoul Abou-Hodeib offers a cultural history of late Ottoman Beirut that is at once global in the widest sense of the term and local enough to enter the most private of spaces.